The new standard driver's license. With the change, Kentucky will become one of the final states to comply with a federal travel law passed in the aftermath of the 9/11 terrorist attacks. 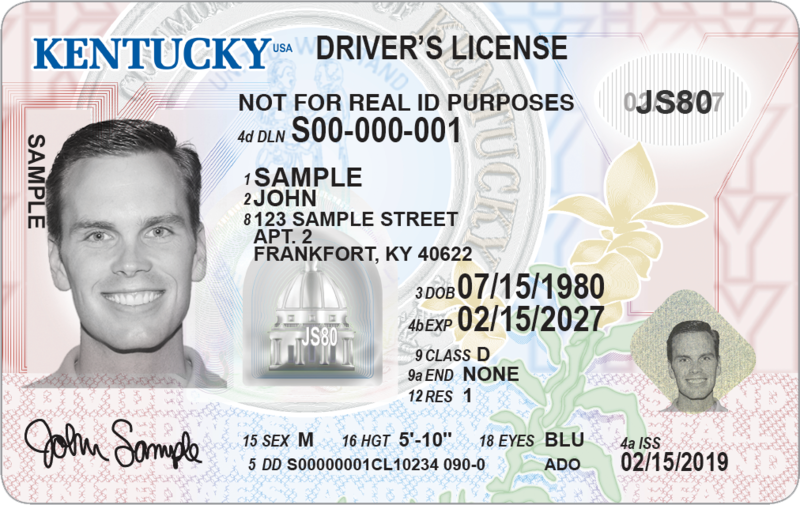 The state will begin issuing the new ID cards in January. The most striking difference in the new design is a grayscale photo of the subject, replacing the color photo from years past. The card will include an image of the state capitol dome and background ink color that is harder to duplicate. 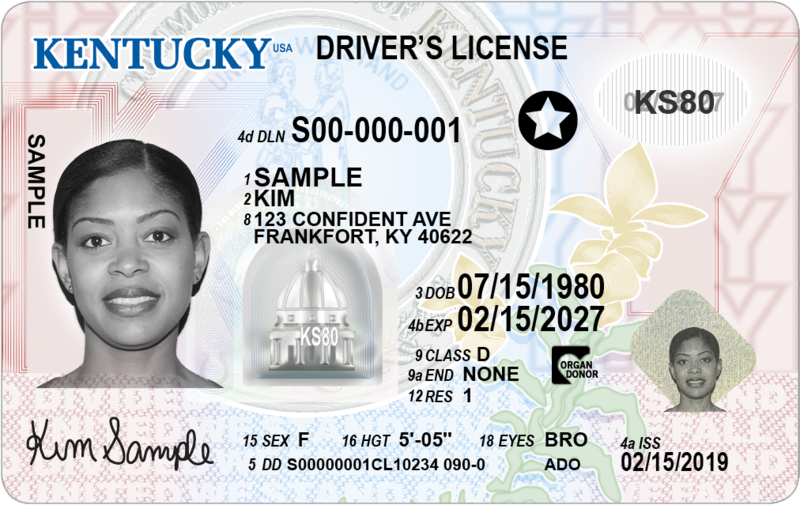 Kentucky will offer a standard driver's license or a voluntary travel ID, which will be valid for boarding a plane or entering a military base.